I am quite content. But maybe I could be more content with the right woman. Haven't met her yet. There is no ideal of course. Opposites can attract for sure. agreeing on a second date. elland is a Male dating in Cavan, Ireland. 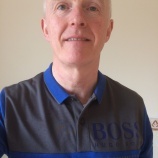 Check the description of this 62 years old profile, he is White/Caucasian and Catholic maybe this matches your profile description and you can both start dating in Ireland for free. The stars says he is a Pisces maybe you should check your horoscope and match up your star sign.